Now, we don’t like to toot our own horn, but we’re so excited, we just had to tell someone! During the recent annual general meeting of the Canadian Society of Landscape Architects held in Iqaluit from July 13 – 17, the Iqaluit Community Greenhouse Society was selected to receive an award for Community Service. 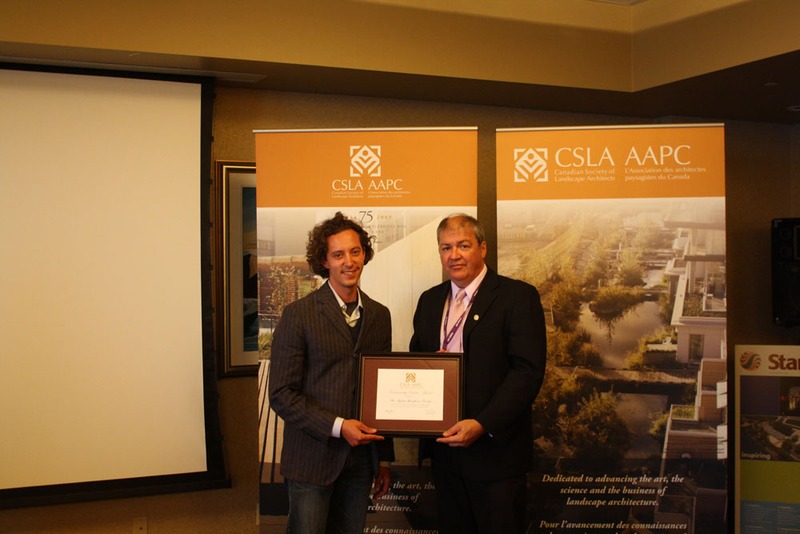 The Canadian Society of Landscape Architects Community Service Awards recognize public agencies and community groups who have contributed significantly to environmental responsibility. These awards provide an opportunity to develop awareness of others who share the CSLA’s goals and to promote the profession’s commitment to environmental sustainability. Congratulations go out to the current and past Boards of Directors for the ICGS. We are all very thankful for the work being done. We would also like to send our thanks to the Nunavut Association of Landscape Architects for their part in recognizing the efforts of ICGS.